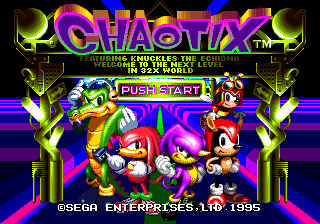 The primary objective of the game remains unchanged from previous Sonic titles; the player must finish each level (called "attractions" in this game) in under ten minutes and defeat Dr. Eggman's Badniks along the way. Rings still constitute the player's life energy and can be collected to enter special stages. Extra lives are unobtainable in the game (due to the fact that you don't really have "Lives" to begin with) — once the player is damaged when he has no rings and his partner is absent (if you have no rings, getting hit will temporarily cause you to lose your partner, but he will return eventually) or if you use 'recall' to reduce your ring counter to negative 99 rings or lower, you will automatically be taken back to the world lobby (or back to the title screen, if you are in Isolated Island) and be given a chance to leave/save or to choose a different partner and/or try to choose another attraction to play. On a side note, all of the badniks and almost all of the bosses in the game use gray, power sapped rings to function rather than animals. However, the rings cannot be collected like regular rings, as they dissolve not long after falling out of their badnik/boss machine. This concept was later used for Tails Adventures' and Sonic Advance 3's robots, but the rings appear to be fine when released and can be collected like any other ring. This page was last edited on 21 April 2019, at 20:35.